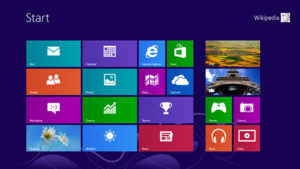 The ins and outs of Windows 8 have been the buzz of the tech world since its launch in October. One issue comes from Microsoft confirming it would not support Adobe Flash in Internet Explorer 10 on Windows 8. Just prior to launch, Microsoft announced Flash would be supported only on sites Microsoft approves or whitelists. Once the Internet’s ubiquitous secret sauce, Flash is now looking in the rearview mirror at its glory days. Video and HTML5 are the future of rich media delivery. Autodemo is ahead of this curve: we’ve been delivering mobile-friendly solutions for years. In all previous versions of Windows you didn’t have to worry about the compatibility of your solutions produced by Autodemo. Our autodemos instantaneously detect Flash support in your users’ browsers and serve either a Flash version or HTML5 version of content. 1. Request that Microsoft add your site to their whitelist. This requires you submit your domain for approval for proper performance on Windows 8. Your webmaster must follow the detailed instructions on the Official Microsoft site. This informs Windows to run your page as IE9 (which allows Flash) instead of IE10. It also removes any new functionality that Microsoft might add to IE10 in the future. For now, this is an effective method to activate Flash content until you are whitelisted. We recommend immediately adding the meta tag above to ensure Windows 8 users have the best experience possible in every section of your site. Tagging ensures the optimum scenario until Microsoft officially whitelists your domain — a process that can take six weeks or longer (and, unfortunately, one with no assurance of actual approval). Microsoft has reversed its security protocols, swapping a “whitelist” of approved Flash sites for a “blacklist” of sites which are now prohibited.